Following on from the MSO Star Wars: A New Hope Concert event in February 2018, the Melbourne Symphony Orchestra will present the next episode in the original Star Wars trilogy, once again screened in conjunction with a live orchestra. MSO Star Wars: Empire Strikes Back in Concert will perform at The Plenary, Melbourne Convention & Exhibition Centre on 15 December 2018. The force is strong with the MSO orchestra as they perform John Williams’ legendary score live to the classic 1980's film. 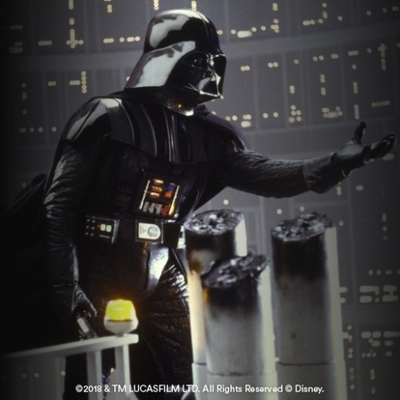 ‘As well as being a fan favourite in the series, The Empire Strikes Back introduces perhaps the greatest villain’s theme in cinematic history, The Imperial March. Williams’ bombastic music for Darth Vader has since come to represent everything evil in the Star Wars universe and, combined with his new love theme for Han and Leia, this score improves on everything that he started in Episode IV,’ said Mr Buc. Enjoy one of the best in the Star Wars trilogy movies on the big screen once more, all the while listening to the sounds of the Melbourne Symphony Orchestra play the iconic music that accompanies The Empire Strikes Back. When: Saturday 15 December 7:30pm and Sunday 16 December at 1pm.